His IG numbers have always been weird but I think his last days on the show are upon him anyway. I don't see Hannah with him. Still exactly the same numbers as my earllier post. one less follower but same following. I think we can say he is out now. 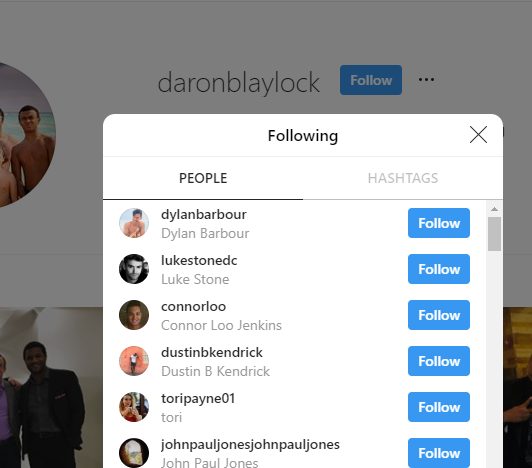 He is following Luke S. and accepted Daron's follow request. @smg2587 Nice catch. His numbers haven't really changed so that confirms it! Luke S is quite the popular one. All the eliminated contestants appear to follow him first.